Go the distance with the Simpson family as they join everybody’s favorite moonraking megalomaniac, Hank Scorpio for a globetrotting adventure that will not only take you around the world but, literally, into orbit around the Earth. And when the lovelorn losers of Springfield feel like throwing in the towel on romance, they pick themselves off the mat and get an adrenaline rush by living life to the extreme! And as if Homer wasn’t already a glutton for punishment, watch him discover his killer instinct as he goes toe-to-toe with C. Montgomery! It’s a unanimous decision! 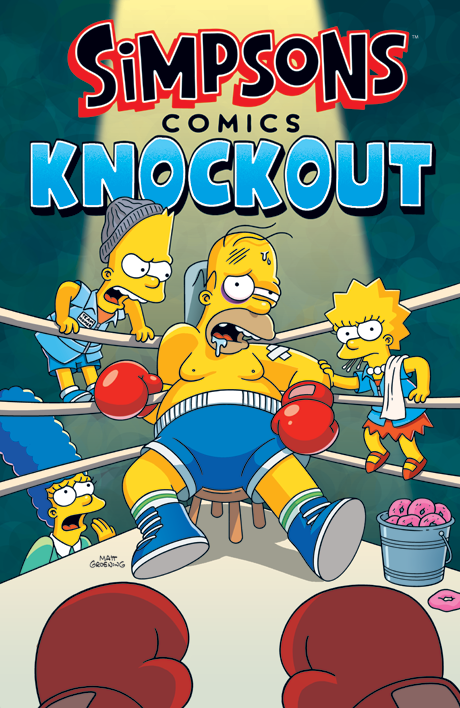 These pulse-pounding Simpsons stories and more will have you rolling with the punch lines!